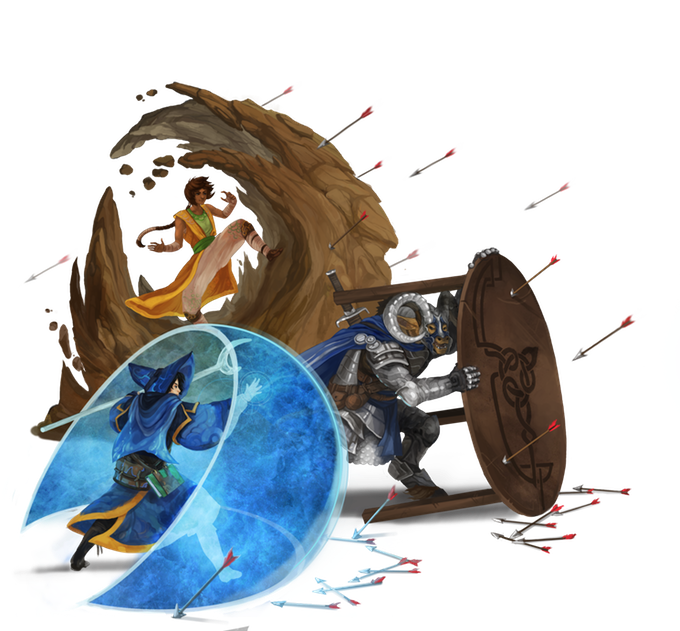 Dabney Bailey has spent five years working on his RPG system Tavern Tales. 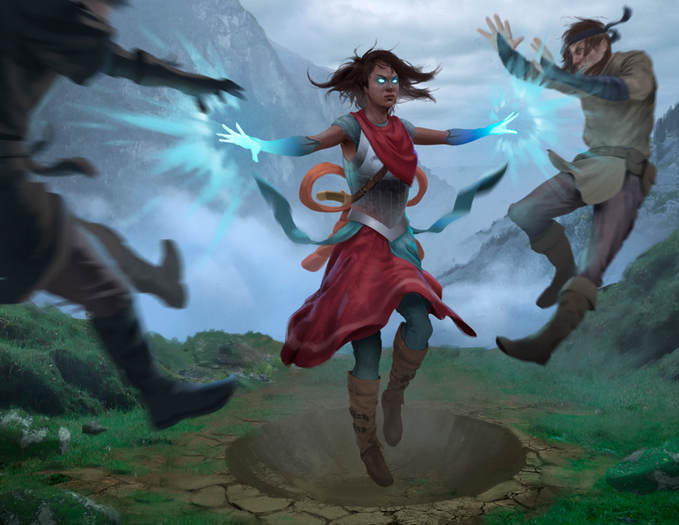 One of the most common problems that most role-players face at some point is reaching a place where the rules you're playing with don't include options for the type of character you're hoping to create. In many cases, it's possible to work around it. Good dungeon masters will usually try to find some way to accommodate their player's wants and needs without breaking the game. That said, it can still take extra effort that's often less than welcome when you're contending with the complexity of maintaining and directing a campaign. 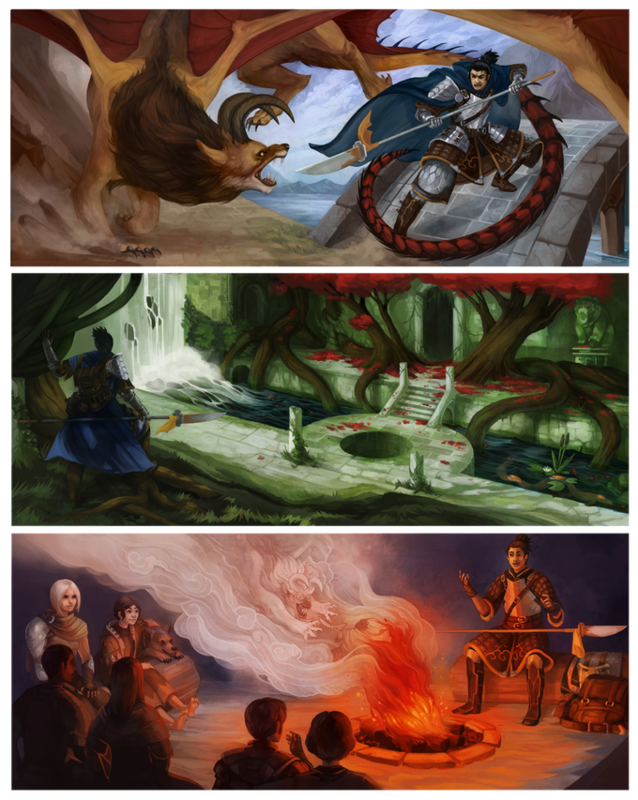 Well aware of the frustrations that can come from this, Dabney Bailey has spent the last five years constructing Tavern Tales, a new RPG aimed at giving players and DMs all the tools they could ever want to create the custom characters. Designed around the goal of creating personalized "cinematic" games, Tavern Tales relies on mechanics grounded in simple dice rolls. "Whenever you do something risky, you roll 3d20 and take the middle result," described Bailey. "Based on your result, you and/or the GM can change the story." While this core mechanic might have few frills, the game makes up for it with an almost insane level of character customization. "Rather than using the classic 'race+class' combo of other RPGs, Tavern Tales give[s] you access to a huge list of themes like Undeath, Dragon, and Thievery. Each theme has traits, which you can purchase for your character." According to Bailey, the game contains "hundreds" of unique options that give players the freedom to create everything from "a flying, fire-breathing dragon" to "an intelligent psionic dog who communicates telepathically." Hoping to turn Tavern Tales into a purchasable product, Bailey recently launched a Kickstarter with an end goal of 19,500 dollars. With 26 days left (as of today) the game has already raised more than 5,000 dollars. Speaking personally, I'm going to go ahead and say that Tavern Tales doesn't sound like something for me. While the prospect of creating bombastic characters with insane abilities obviously has its appeal, I actually tend to enjoy working within the restrictions of more defined classes and archetypes. That being the case, Tavern Tales still sounds really well thought out and like something I could imagine a lot of RPG players really enjoying. If you're feeling curious, Bailey has actually posted a free "rough draft" version of the game to his Kickstarter page. Give it a try and then kick the project a bit of cash if you like it.